Hero MotoCorp Ltd is investing Rs 130 crore ($19 million) more in electric scooter startup Ather Energy Pvt. Ltd, the country’s largest two-wheeler maker said on Wednesday. Ather Energy will issue 66,320 compulsorily convertible debentures for the investment, Hero MotoCorp said in a stock-exchange filing. The investment will result in an increase in Hero MotoCorp’s stake in Ather. The quantum of the stake will depend on the conversion price of the debentures; the price will be decided when Ather raises its next round of funding. VCCircle had reported last month that Ather was now looking to raise fresh capital and had hired an investment banker to arrange the fundraising. Hero MotoCorp currently owns a 32.31% stake in Ather. The two-wheeler maker had first invested Rs 205 crore ($30.5 million then) in Ather Energy in 2016. The fresh commitment from Hero takes the overall investment the startup has raised so far to around $62 million. Before Hero MotoCorp, it had secured about Rs 75 crore ($12 million) in funding from US-based hedge fund and venture capital investor Tiger Global in early 2015. Ather Energy also counts Flipkart co-founders Sachin Bansal and Binny Bansal among its investors. 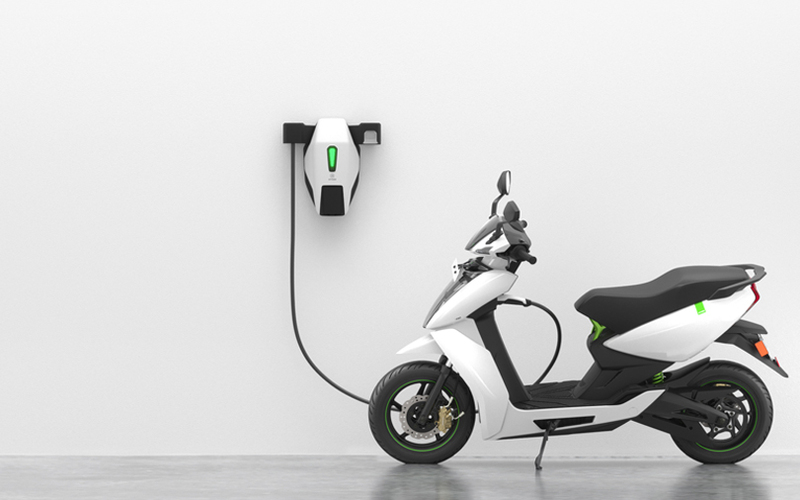 Ather Energy was founded in 2013 by IIT graduates Tarun Mehta and Swapnil Jain. It had initially aimed to launch the electric scooters in 2016 but faced delays because product testing took longer than anticipated. The company had rolled out the first two electric scooters that it designed from scratch last month, nearly three years after its first institutional round of funding. The much-delayed commercial launch of the Ather 450 and the previously unveiled variant Ather 340 marked a milestone in India’s nascent market for electric two-wheelers that research firm Frost & Sullivan estimates will grow 38% by 2020 and account for nearly 60% of the total electric vehicles market. The Ather 450 is priced at Rs 1,24,750 and the Ather 340 costs Rs 1,09,750, after including all taxes, insurance and registration. That’s more than twice the price of most scooters in India. To be sure, Ather isn’t the only one looking to tap into the growing market for electric vehicles. A number of other startups have also forayed into the segment and raised funding from angel investors as well as two-wheeler companies. Electric bike maker Ampere Vehicles Pvt. Ltd has raised funding from Infosys co-founder Kris Gopalakrishnan and Ratan Tata, chairman emeritus at Tata Sons. Another electric two-wheeler startup is Ultraviolette Automotive Pvt. Ltd, which is backed by Hero MotoCorp rival TVS Motor. Tork Motorcycles, which is building an electric motorcycle, has raised angel funding from Bhavish Aggarwal and Ankit Bhati, co-founders of cab aggregator Ola. Bangalore-based Emflux Motors Pvt. Ltd has secured angel funding to make what it touts as India’s first electric sports bike.